• Problem: The position on Women’s Ordination (WO) by the 13 World Divisions of the Seventh-day Adventist Church is unclear. Online forums suggest that the North American Division (NAD) is often singled out as the only or the primary region in favor of WO. There are informal reports on the position of each Division, but to our knowledge, this study is unique in that it reports on a comprehensive analysis of the written presentations on WO by each Division’s Biblical Research Committees (BRC). • Methods: Content analysis and meta-synthesis of the written presentations on the subject of women’s ordination (WO) made by the 13 BRCs before the 2015 General Conference (GC) session. • Findings: The final report and numerous papers of the GC Theology of Ordination Study Committee (TOSC) are found only in English on the website hosted by the GC Office of Archives, Research and Statistics, and do not appear to have been translated into other major languages, or widely disseminated. Of the 13 Divisions, one (1) Division, East Central Africa Division, recommended ‘not yet’ to the question of WO, which may imply willingness to accept WO. There are seven (7) Divisions that said ‘yes’ to WO or that ‘lean yes’ initially. Four (4) of these firmly and explicitly support women’s ordination: Inter-European Division, North American Division, Northern-Asia Pacific Division, and Trans European Division. Additionally, three (3) Divisions ‘lean yes’ based on the observations and comments in the presentation: Inter America, Southern Asia, and South Pacific Division. (An update to the TOSC reports: In November 2018, the South Pacific Division voted to request reconsideration of the 2015 GC vote at the next GC session.) None of the Divisions that support WO cited culture as a primary reason to do so. Conversely, there were five (5) Divisions that either said ‘no’ or ‘lean no’: Euro-Asia Division, South America Division, Southern Africa and Indian Ocean Division, Southern Asia Pacific Division, and West Central Africa Division. The one listed as ‘lean no’, Euro-Asia Division, presented biblical arguments that appear to support WO but concluded that they “discourage the practice (of ordaining women as pastors)” due to cultural factors as a key reason. Additionally, three (3) Divisions, South American Division, Southern Asia-Pacific Division and Central Africa Division, indicated they would be willing to accept WO if the world church approves. Two (2) Divisions, South America Division and Southern Africa and Indian Ocean Division, appear to have the strongest opposition to WO. However, while the South America Division staked out a position against WO, it too indicates willingness to accept WO if the world church approves. This means that 12 of 13 Divisions could be willing to accept WO either because they support WO (7) directly or because they would accept WO (5). The Southern Africa and Indian Division not only objects to WO as pastors but also proposed rescinding the possibility of women being ordained as elders. • Conclusion: Contrary to assumptions, a majority (7) of the 13 Division BRCs explicitly indicate support for WO or would not object to women’s ordination, in their written presentations to the TOSC. One (1) stated ‘not yet’ which could be assumed that they eventually would support WO. Of the five (5) that oppose WO, four (4) would be willing to accept WO if approved by the church. This is important to note because it brings to 12 the total number of Divisions that would accept WO. Surprisingly, only two (2) Divisions appear to be strongly opposed to WO in their report to TOSC, but even one of them is willing to accept WO if approved by the world church. Culture was explicitly cited by one of the Divisions, and this Division happens to ‘lean no.’ From a plain reading of the presentations, it appears as though the church is ‘paralyzed’ on the issue of WO primarily because of one (1) Division that is adamantly opposed to WO and even proposes to rescind women’s ordination for elders. This Division also appears to have been successful in arguing that flexibility in the application of WO across regions would “lead to further fragmentation, which threatens the unity of the world church” (see Appendix A). • Recommendations: 1) Church leaders should inform the church that a majority of Division BRCs are supportive of or would accept WO. 2) In recognition of this degree of support for WO, church leaders and members should acknowledge that the question of WO is not a theological or doctrinal issue but primarily an administrative concern. 3) Church leaders should make the necessary efforts to translate the GC TOSC materials and website to other major languages and host materials on official GC websites. Hundreds of women serve as pastors in the Seventh-day Adventist church, but the denomination continues to wrestle with the issue of women’s ordination (WO). Although several study groups have examined the issue through the years, the church has never voted on the theological merits of prohibiting or approving women’s ordination for pastoral ministry. Leading up to the 2015 General Conference Session, a General Conference Theology of Ordination Study Committee (TOSC) was charged with again researching the topic of women’s ordination. In this paper, I report on a meta-synthesis of presentations on the subject of women’s ordination that were made by the 13 Biblical Research Committees (BRC) of each Division before the 2015 General Conference Session. A review of online forums and social media, particularly in Latin America, suggests that in the Inter America Division and South America Division, the North American Division (NAD) is often denounced as the only or primary region that is in favor of WO. Although there have been previous informal or anecdotal reports on the position of each of the Divisions regarding women’s ordination, to my knowledge, this study is unique in that it reports on a comprehensive analysis of the actual written presentations made by the BRCs. Given the assumptions that a majority of the world church holds a specific position in regards to women ordination, the main objectives in this article are: a) to summarize or characterize for the world church the positions of the Divisions, and b) to determine whether there was a consensus among scholars of the various Biblical Research Committees, which would help inform church members whether the question of women’s ordination is doctrinal or administrative. Contrary to ongoing debate, the vote taken at the 2015 General Conference Session did not address the scriptural basis or theological merits (or lack thereof) of women’s ordination. The specific question asked: “Is it acceptable for division executive committees, as they may deem it appropriate in their territories, to make provision for the ordination of women to the gospel ministry? Yes or no.” It is therefore clear from the plain reading of the proposal, that delegates were not asked whether they believed the Bible or writings of Ellen G. White, an authoritative figure in the church, allowed or prohibited women’s ordination. The proposal to transfer ordination decisions to the Divisions was rejected but did not alter policies that were in effect. In fact, the President of the General Conference, recognized as much and asserted that “the ordination vote [at the 2015 GC Session] doesn’t change current policy”. Consequently, Unions claim freedom to continue exercising their authority in making the determinations regarding ordination, consistent with applicable church policies.,  To date, at least two Unions in the North American Division, the Columbia Union and the Pacific Union, have exercised this prerogative; and a third, Mid-America Union, has indicated it will vote on the issue in their 2021 constituency meeting. Although there has not been a vote to deny or approve women’s ordination based on scriptural reasons, in an effort to impede Unions from making decisions about ordination as they claim to be authorized to do per current policy, the General Conference (GC) leaders created a system to deal with those that are considered “out of compliance” and delegates to the 2018 Annual Council approved the “compliance document.” The GC previously released its analysis of the limits to Union authority. Supporters of the compliance document argue that: a) the 2015 vote was in fact a vote on the theological merits of women’s ordination and to deny women ordination, and b) delegates to 2015 GC Session were encouraged to study the issue for themselves. Unfortunately, the GC does not appear to have ensured that the hundreds of pages of research conducted by the GC TOSC were translated to other major world languages, so that church members and delegates to the 2015 GC Session could study the issue on their own. In fact, the TOSC website was and is still only available in English. After significant investment on the TOSC, unfortunately, the articles and presentations by church scholars were not widely disseminated in other languages. Leading up to the 2015 General Conference, every Division made a presentation at a meeting of the TOSC, in which they summarized the respective Division’s position on WO. Was there a trend among world Divisions? To inform and educate church members, particularly those who didn’t have access to the GC TOSC materials in their language, I conducted a content analysis of the presentations made by each of the Biblical Research Committees (BRC) of each Division. Was rejecting or denying women’s ordination endorsed by a majority of the Divisions? Did Divisions report a categorical position on whether Scripture prohibits women’s ordination? Where there was clear indication of support for women’s ordination in the written presentation, this was marked as ‘yes’ (see Table 1). If the BRC presentation did not categorically state a position, I have used the most precise language to describe the position at the time. Where there was a clear lack of support or rejection of women’s ordination, I have listed those as ‘no.’ There were a few instances in which the presentation does not state either a ‘yes’ or ‘no.’ For example, in one instance, no position was provided but the presentation concludes that there is “no Scriptural principle that would be an impediment to women ordination” (South Pacific Division). The case of Southern Asia-Pacific Division and the West Central Africa Division are worth noting because they describe their positions as not being in favor of women’s ordination, but indicate that if the world church approves women’s ordination, they would not object. The analysis suggests that only two (2) Division BRCs (South America Division and Southern Africa-Indian Ocean Division), are categorically and unequivocally against women’s ordination. Of these two, South America Division is willing to accept WO if approved by the world church. However, the Southern Africa and Indian Ocean Division not only objects to women’s ordination but also recommends rescinding the possibility of women being ordained as elders. This Division also argued that flexibility in the application of WO across regions would “lead to further fragmentation, which threatens the unity of the world church” (see appendix A). Based on the current debate, it is evident that the notion that flexibility across regions in regards to WO would threaten unity has prevailed. The analysis of the presentations made by the Biblical Research Committees (BRCs) of 13 Divisions revealed some noteworthy findings. The obvious finding is that of 13 Divisions, seven (7) support WO, with four (4) firmly supporting and three (3) leaning towards supporting (one of these, the South Pacific Division, is now firmly in the ‘yes’ column). One (1) Division says ‘not yet.’ On the other hand, five (5) Divisions do not support WO. However, of these, four (4) indicate that they would accept women’s ordination and not object if the world church approves, and one (1) Division cites culture as the reason for not accepting WO. Only two (2) staked out strong positions against ordination, but one of these two is willing to accept WO if the world church approves. The second conclusion is that church members should realize that after decades of studying the subject, respectable and reputable Bible scholars arrive at different conclusions. Although the integrity as researchers of the TOSC or BRCs members cannot be doubted, it is very interesting that the positions on women’s ordination coincidentally also mirrors some of the same social, cultural, religious, and political values prevalent in the respective regions.,  The obvious example is the case of the Euro-Asia Division, which specifically cites local context and culture as a reason for opposing, or at least not supporting, women’s ordination. So, although it has been said that culture is being used to inform the position of those in favor of ordination, it is also true that culture informs those who oppose ordination. Because the work of the TOSC has not been translated or widely disseminated in other languages on the official GC website, this study will be translated to Spanish, especially for the readers in the Inter-American and South American Division. This analysis suggests that a majority of Divisions (7) support women’s ordination, but forcing their position on other regions may not be prudent. Similarly, forcing the position of five (5) Divisions on others also seems unwise. Furthermore, four (4) Divisions who do not support women’s ordination indicate that they would accept if the world church approves. The analysis suggests that 12 of 13 Divisions would be willing to accept WO, either because they plainly believe the Bible supports or does not prohibit WO, or because the world church approves of the practice. From a plain reading of the presentations, it appears as though the church is ‘paralyzed’ at the moment primarily because of one (1) Division, who has staked out strong positions against women’s ordination and even proposes to rescind the ordination of women as elders. In regards to the second objective for this paper, church leaders must be transparent in explaining that the question of women’s ordination should no longer be treated as a doctrinal issue or a matter of a fundamental belief, and instead, should be treated as an administrative issue. The ambiguity and lack of clarity in the motion or proposal to the delegates at GC Session 2015 seems like a significant breach in parliamentarian duties and rules and could be a learning opportunity. Perhaps all motions or proposed actions at future GC Sessions should include a mandatory “proposal analysis” (the equivalent of a policy or bill analysis as used in legislative circles), provided to all delegates, which clearly informs of the status quo, that is, what happens if the motion fails, or what happens if the motion or action is carried. Also, something that has been lost in the current debate is that church leaders should carefully consider whether to insist on transferring the decision of ordination to the Divisions, or whether these decisions should remain the purview of Unions, consistent with current policies. Ethical leadership requires encouragement of church members to study for themselves while at the same time sharing the results of decades of studies on this subject. It is likely that church members could accept that there may be differences in practices and application. Church members would also realize that it may not be necessary to have all regions doing the same when it comes to women’s ordination. The debate about what constitutes unity is worth dissecting. Uniformity should not be confused with unity. 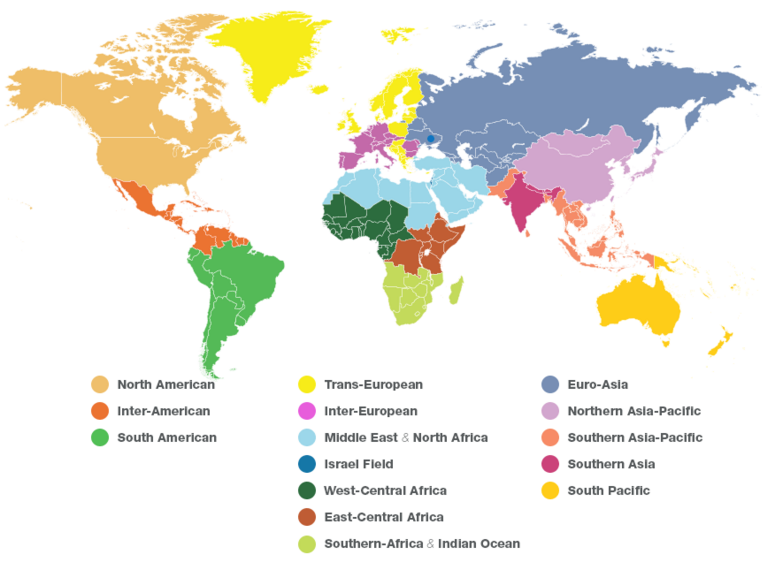 The church already has a variety of differences in the application of policies across world regions, but that does not diminish church unity. For example, the 1989 Annual Council of the General Conference created the classification of “commissioned pastors.” However, many Divisions did not and have not implemented this provision. Does it mean that the church is fragmented and there is lack of unity? The variance in application of the GC action of 1989 does not seem to have created the “lack of unity” or concerns for “compliance,” which is being used currently as an argument that it should be “all Divisions or no Divisions at all” when it comes to women’s ordination. The question could be asked, why is “unity” threatened only if women’s ordination is approved, but “unity” is not in question, if it is not approved? To require acceptance of women’s ordination on those who conclude that Scripture does not support women’s ordination would be inappropriate. Similarly, imposing a world-wide rejection of women’s ordination even on those who are convinced that Scripture supports or does not prohibit women’s ordination, is equally unconscionable. Unity is a two-way street, after all. This review is based exclusively on the reports/presentations by the Biblical Research Committees of each Division to the GC TOSC. It is possible that each Division arranged for listening tours or presentations within their own territories. Although a search was completed, the author could not locate those presentations. In any case, if a Division had presentations in their territory, that is beyond the scope of this analysis. The focus here is on the documentation made available to the world church through the General Conference website. The GC TOSC website only includes the position paper of one Division in both English and another primary regional language, as provided by the Euro-Asia Division.